Gender inequalities persist in all areas of social and economic life and across countries. Young women in OECD countries generally obtain more years of schooling than young men, but women are less likely than men to engage in paid work. Gaps widen with age, as motherhood typically has marked negative effects on gender pay gaps and career advancement. 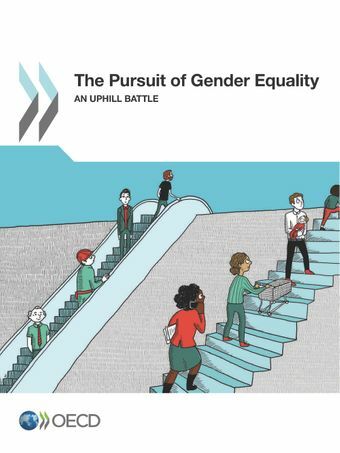 Women are also less likely to be entrepreneurs, and are underrepresented in private and public leadership positions.The 2013 and 2015 OECD Gender Recommendations provide guidance on how to advance gender equality in education, employment, entrepreneurship and public life; this book discusses recent developments in these areas in one overview chapter and 24 short chapters which each include key findings and policy recommendations. Topics include violence against women, gender budgeting, the unequal sharing of unpaid work, labour market outcomes and migration. The book presents a range of indicators illustrating gender gaps. It also discusses recent policy initiatives, such as pay transparency measures to reduce gender wage gaps and policy reform aimed at fathers taking parental leave. Overall, progress has been slow and there is a strong need for further policy action to close gender gaps in education, employment, entrepreneurship and public life.